From the Trenches – Why don’t you carry larger sizes? Our Customer Service Representatives (CSRs) are our front line of communication with Patagonia fanatics far and wide. The crew here at our Call Center in Reno, NV are at it seven days a week, taking orders, helping with returns, and most importantly, answering the astonishing range of questions our customers fire at us. Like flocks of swirling swallows or shimmering schools of tropical fish, our customers swoop in with mysteriously synchronized concerns and questions on a regular basis, prompting the need for ready answers. Times like these, nothing would be more handy than magically beaming knowledge out into the ether. Our very own Old School is here to do just that. He’s stepped back from the front lines to answer some of these popular questions, straight from the trenches. Why don’t you carry larger sizes? This is one of the most common questions we get, along with the corollary questions like why don’t you carry ___(circle one: taller, shorter, smaller, petite)__ sizes. The answer rests in the laws of supply and demand, statistics, and what the clothing trade refers to as "minimums." The term "minimum" refers to the minimum number of a product that needs to be made in any given style and color. These minimums are determined by a number of factors, but hinge mostly on what we believe we can sell in a given season. Since Patagonia is a smaller company, it’s very difficult for us to make products “on demand.” Instead, our strategy is to make the best educated guess of the quantities we will need for each and every style. This guessing game often happens up to a year ahead of time. The factories we use to make our products also work with a variety of outdoor clothing companies. In the relatively small world of outdoor clothing, it is not uncommon for competitors to use the same factory–indeed, the same hi-tech waterproof shells vying for your attention at the mountain shop are sometimes built right next to each other in the same factory. 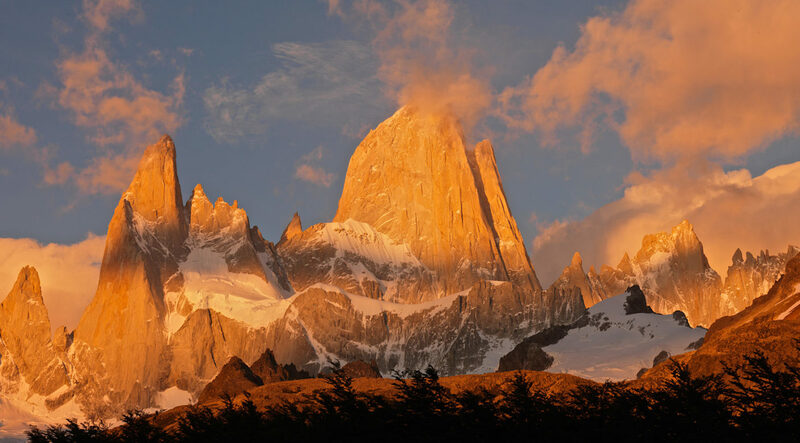 Many of our customers don’t realize Patagonia is a very small player in the clothing trade. When it comes time to build our clothing, we have to “get in line” with our competitors at the factory. A factory might schedule themselves to make North Face jackets one week, Patagonia jackets the next, and Marmot jackets the week afterwards. Because of this schedule, once we’ve locked in on the number of each style we’re planning to make, it’s very, very difficult to make changes. This is especially true with more technically oriented styles. In this instance, the term “minimum” takes on a different meaning. It signifies the minimum number of an item (say, jackets) we need to make—and then sell—to justify the time and expense of working with the factory. Too few items, and our expenses overshadow the potential profits. Too many, and we’re “stuck” with quite a few jackets noone wants to buy. This means lost money, wasted warehouse space, and a great deal of waste in energy, time, resources and materials. A visit to any of our Outlet stores quickly reveals we’re still trying ot perfect this formula. What’s amazing to those of us taking calls is that this "minimums" number is spread across many different sales channels. In other words, that total number of shirts comes from the combined sales from our catalog, online sales, retail stores, Patagonia dealers (like your favorite local ski or surf shop), and international business. And sometimes we still have a hard time selling all of the items that we make. This means, unfortunately, that we just don’t have the demand to offer sizes to fit everyone. We have had to make decisions to offer the sizes that sell the best, and this means some customers are left–sometimes literally–out in the cold. What can you do? First, give us a call. We have a host of products in smaller and larger sizes. Our sales reps can often find Kids products for smaller folks, and we offer a surprising array of XXL sizes in our casual and technical gear. Second, if you think we need to offer a product in a size other than what’s available, let us know. And tell your friends to let us know. If we hear from enough people saying we need to offer a particular size, we’ll reach the numbers we need to make that new item and size available. [Ed Note: This post was originally published with an emphasis on size offerings being dictated by size minimums. This is incorrect. The post has been updated to reflect the corrected information that minimums are applied across an entire style or color, not, as previously stated, to a specific size and color of a given product. Please accept our apologies for any confusion. Since first publishing this post, we’ve been fortunate to receive a bit more education about the complex world of product production directly from our Vice President of Production, Doug Freeman. Our most egregious error was committed in stating that minimums are determined by the factories we work with. Doug, along with other members of our Production crew, patiently explained an important distinction. Specifically, factories do impose minimums, but these are on a more global level. It is not in their interest, for example, to make only 5 total jackets for us. The factory-imposed minimum would be something more like 500 total jackets. Once they agree to make 500 jackets for us, it’s up to us to decide how many of each color and size we make. We played fast-and-loose with the term “minimum” in the earlier draft of this post and owe our apologies for any confusion this created.